SmartPoint® animals respond with different phrases, sounds and music on SmartPoint® locations found on Go! Go! 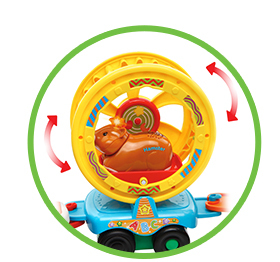 Smart Animals® playsets. Each SmartPoint® animal responds differently to every SmartPoint® location so collect them all (each sold separately)! Explore the jungle, have fun on the farm and more. 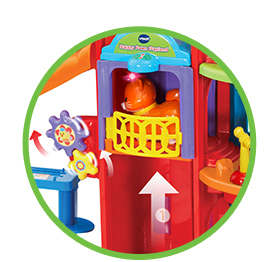 Each playset builds motor skills and encourages learning through imaginative play. 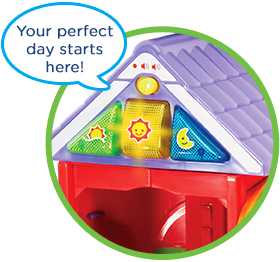 For more excitement, place SmartPoint® animals on SmartPoint® locations to trigger phrases, sounds and music. Explore the playsets with adorable animals that have their own unique personalities. Play with wild and domestic animals! Each responds differently to each SmartPoint® location (sold separately).